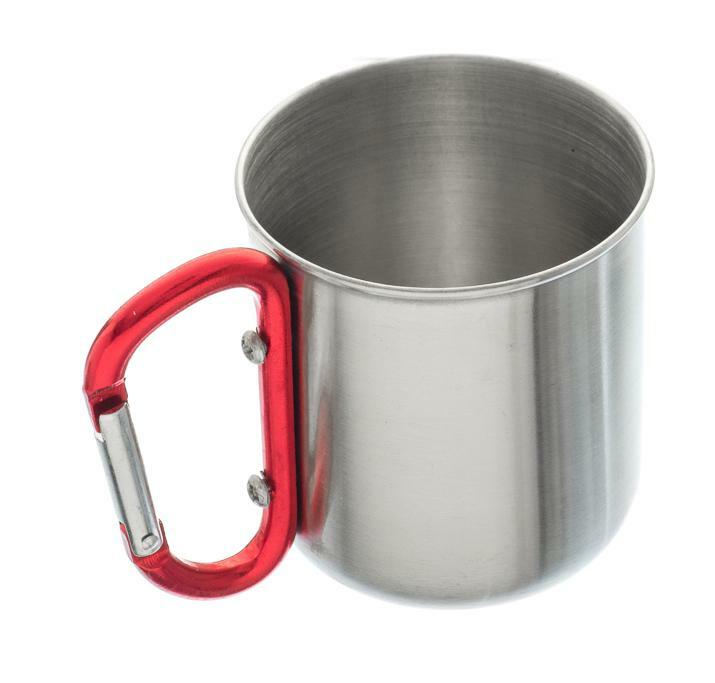 304 stainless steel carabiner travel Mug measures 4" x 3" x 2-3/4" and holds a capacity of 10 Fl. Oz. Attach-and-go with the convenient carabiner handle to your backpack, gear, and more while outdoors hiking, camping, or traveling. The single-walled stainless steel design allows for Quick boiling over a direct flame. 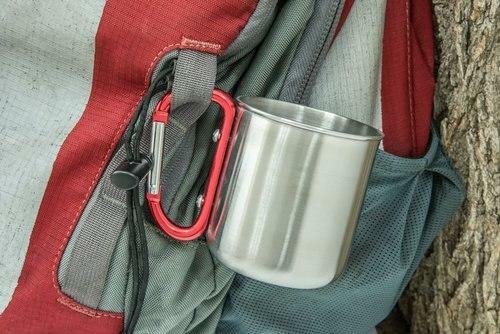 Our Mug is the perfect size to hold a short order of your favorite drink while at home or out in the wilderness, or on an outdoor Adventure. 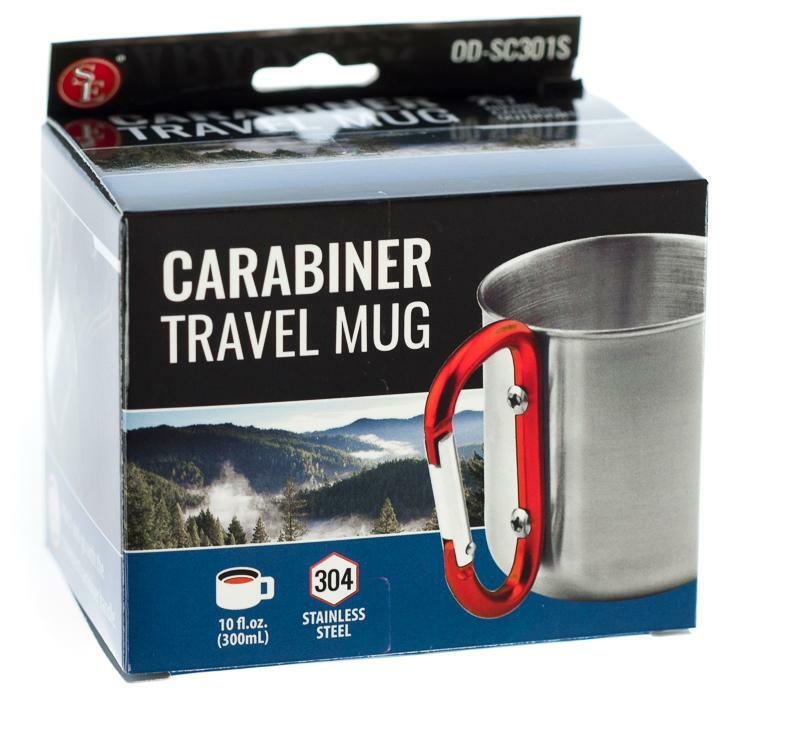 Carabiner travel Mug is great for indoors, or outdoors while hiking, camping, and more easily attach to your backpack or gear with the carabiner handle material: single wall 304 stainless steel can boil over a direct flame volume 10 oz. Or 300 ml weight: 2.5 oz. • The single-walled stainless steel design allows for quick boiling over a direct flame.